PLEASE HELP WITH SEO on my new ecommerce site!!! Hey guys I am in the process of opening up a new ecommerce website. Just wondering how the whole SEO thing works and if possible, can you refer me to a member here or another website that further explains it? PS: I have no prior knowledge on SEO, would I be able to manage on my own and boost my sites views? Would it be complicated for a noob? Last edited by TGMT²; 09-13-2013 at 11:29 PM. Re: PLEASE HELP WITH SEO on my new ecommerce site!!! You might want to try Aspkin's Six Figure Boss. 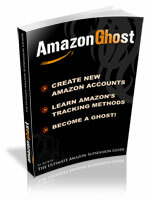 It explains SEO and ecommerce in plain English and the methods he describes are solid. From experience, hiring someone to do SEO for you costs a fortune. The cheap promoters are rarely worthwhile. Thanks for the reply, you think its possible to teach myself? How long will it take for me to be decent or good enough at seo so that it reflects my traffic? I would get aspkins SFB. Yes you can teach yourself, and honestly it will safe you alot of money in the long wrong! Good luck! Start by finding the best keywords that fit your products, the majority of your efforts will be dedicated around them. mitta has right. First of all you can use keyword tool from google adwords (u must sign up) and choose keywords with weak competition.